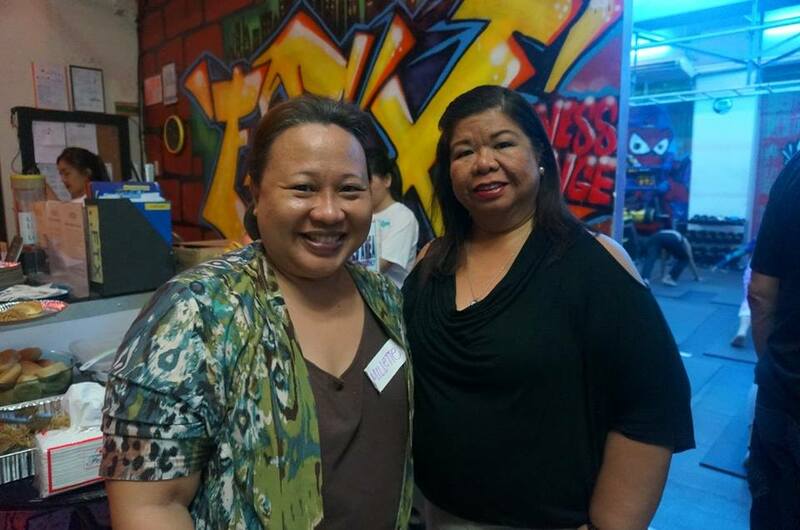 Living well is a shared dream in the world and Global Wellness Day recognizes this dream and has been a leading voice in this healthy living revolution! Now on its 5th year, the Global Wellness Day movement is celebrated internationally in 83 countries with 86 ambassadors in over 400 participating locations. 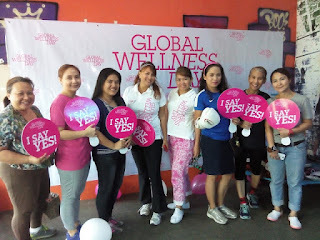 I joined in the worldwide celebration of Global Wellness Day at FTX Fitness Exchange, in Salcedo Village, Makati City last June 11 along with my blogger friends. Global Wellness Day seeks to direct the thoughts of individuals and society towards “living well” and to raise awareness. 5. To raise awareness about living well and increase motivation, not justfor today, but for 365 days a year. 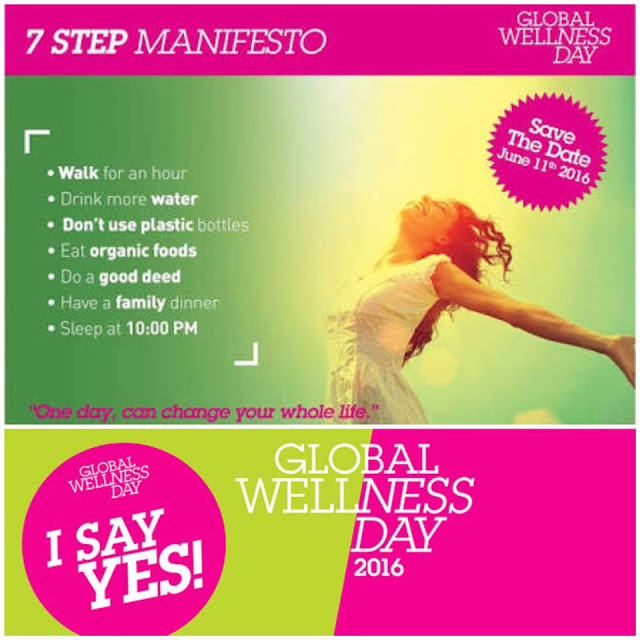 Global Wellness Day promotes seven simple steps to jumpstart a wholistic, healthy lifestyle. Global Wellness Day Philippines Ambassadress, Vikki Aquino, talked about getting us a step closer towards livingwell, using the GWD manifesto as the starting point. In honor of the Global Wellness Day, FTX Fitness Exchange held yoga, zumba plus learning activities for free. 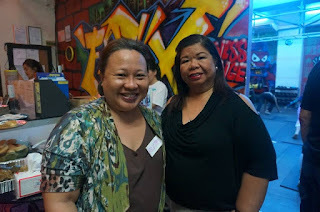 Charmie De Leon of Healthway and political satirist/ director/actress Mae Paner aka "Juana Change" gave inspiring talks. 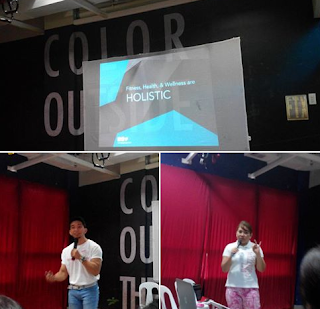 Christian Church pastor Manu Reyes aka the “Fitness Pastor”, fitness brand ambassador and consultant for corporate fitness solutions discussed how a good deed daily keeps you healthy. Complimentary consultations are available on weight loss/gain, skin analysis, muscle imbalance, fitness assessment and health provider were made available to the public and guests the whole morning. Healthway also hosted free Postural Alignment analysis. 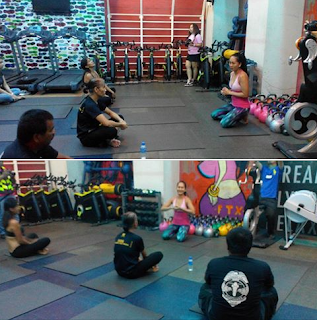 Do join in the National Wellness Day celebration this June 27, 2016 at Alabang Town Center. 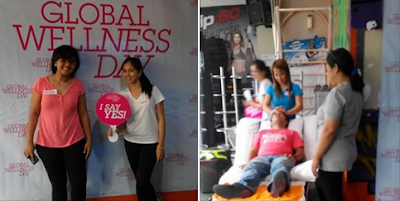 GWD Philippines is also holding the annual National Wellness Day festivities of the People Management Association of the Philippines (PMAP) on June 30 at the Mall of Asia, where member companies will exhibit and showcase their corporate wellness efforts. 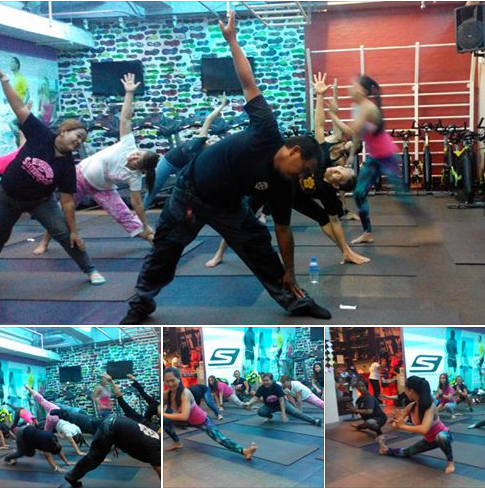 Various wellness speakers, health tests, and fitness classes for the general public will be available for people to enjoy.